When society thinks of people in wheelchairs, we often think of what they can’t do instead of what they can do. In this edition of Medill Newsmakers, wheelchair users in Chicago open up about living an adaptive lifestyle. 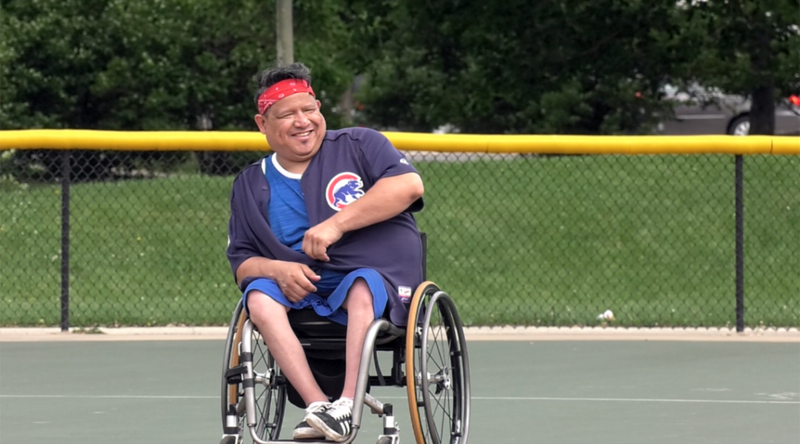 The perspectives come from gunshot survivors, Skyhawks wheelchair basketball team members, individuals born with genetic disorders of bone fragility, Shriners Hospital patients and the Commissioner of the Mayor’s Office for People with Disabilities. Take a look at what these individuals living with a disability have to say. 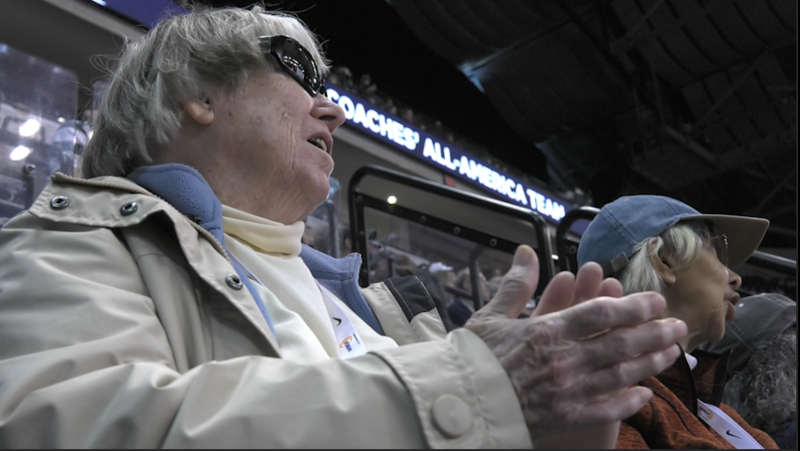 Wersells and Roberts have been attending the women’s Final Four since its early stages. In the last 20 years, Wersells has only missed one championship series while Roberts has only missed two. As active members of the Women’s Basketball Coaches Association, they continue to contribute to the game they love and say they won’t stop anytime soon. “I call it the trip of God,” says David A. Isindu, founder and director of Nairobi Girls Chorale. A group of 17 girls from Nairobi, Kenya visit Chicago to challenge stereotypes, gain exposure and raise tuition money. Isindu founded the Nairobi Girls Chorale in 2008 to empower young women in Africa. The 17 girls are staying in three apartments in Rogers Park. Volunteers from the Chicago Kenyan community are housing the girls, including Endita Kiarie, founder of Kenyan Women Support Group — Chicago. Organizers say the biggest challenge is funding the trip. Half the expenses were paid for on credit by the director. The girls sell CDs and handmade jewelry and accept donations to help offset costs. “Unfortunately, many people in Africa are not ready to invest in programs for the youth,” says Isindu, adding he will commit his salary toward the balance of the trip. The visit falls on the week of the celebration of Madaraka Day, commemorating Kenya attaining self-rule in 1963. Nairobi Girls Chorale will be performing around Chicago during the first week of June to raise money for tuition and support their efforts. In the future, Isindu hopes to expand. “We want to start a mega talent academy in Nairobi that will take care of music, culture, soccer, dance, anything that will help the Kenyan children,” Isindu says. When Tom Perski turned 19 years old, he noticed something was off with his vision during a baseball practice. “I saw the ball go up in the air and then it disappeared completely and then reappeared again,” Perski says. Perski was later diagnosed with a rare case of Stargardt macular dystrophy, a genetic eye disorder which causes progressive vision loss. 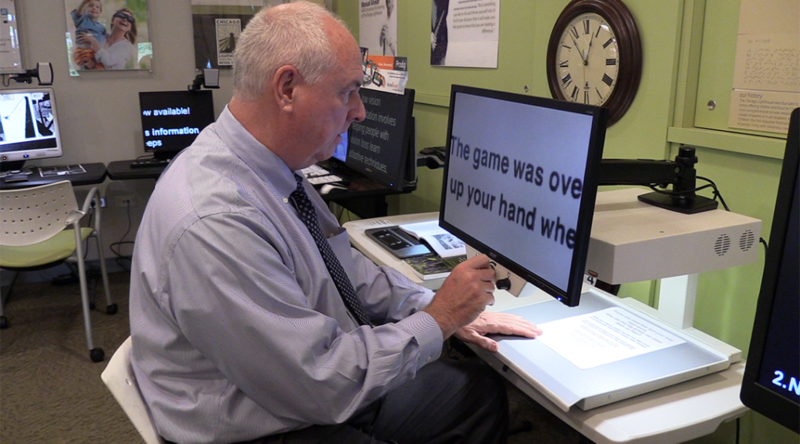 Today, Perski works at the Chicago Lighthouse serving the blind and visually impaired. Watch the Medill Reports News Update. This week our reporters talk about challenges graduate students face through the eyes of a Loyola University Chicago student. We see how more than 100 veterans experience a special send-off to Washington D.C. through the Honor Flight program. Finally, we get to hear from Reckless Records and how vinyl records are making a comeback. Alan Hagstrom visited the Swedish American Museum on Tuesday and didn’t expect to find what he saw. Edward John and Hilda Marie Hagstrom are just two of his four grandparents featured on the Immigrant Wall of Honor, a golden brick-wall that honors immigrant ancestors at the Swedish American Museum in Andersonville. Getting shot six times and becoming paralyzed from the chest-down didn’t stop John “So Icey John” Sharp from becoming one of the best barbers in town. “I got shot up being at the wrong place at the wrong time,” Sharp, 28, says, adding he wont let the circumstances prevent him from continuing his life. Today, Sharp cuts hair from his wheelchair at Englewood’s Pro-Line Barber and Beauty. In the last seven months, he’s developed a strong client base, which he’s proud of. “As long as I’m here, I made it,” says Sharp. 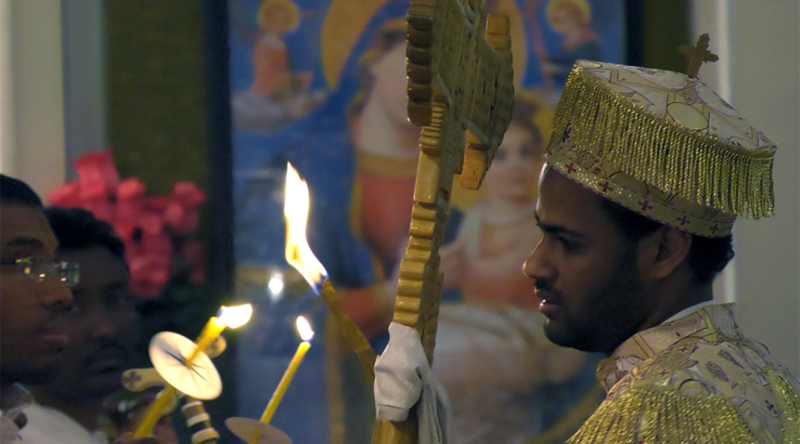 Hundreds of Ethiopians came together at Debre Tsion Medhanealem Ethiopian Orthodox Tewahido Church in Chicago to celebrate Fasika, or Easter, on May 1. The 6-hour service includes individual and community prayers led by Father Michael during worship. From Good Friday to Easter Sunday, priests and some church members don’t eat anything to show their commitment to God. From visiting patients in the a.m. to getting drafted in the p.m., Laquon Treadwell had an “emotional rollercoaster” on draft day. Treadwell spent the morning visiting patients at Shriners Hospital for Children – Chicago on April 28. There he made two new friends, 8-year-old Sheila Bourke and 10-year-old Katie Kuehn, who taught him how to play checkers. The NFL Draft is more than contract negotiations and draft picks. It’s a time for the top players in the country to give back. On Thursday morning, fifteen future NFL players participated in an NFL Play 60 Clinic at Shriners Hospital for Children. Seventeen kids received certificates for completing the clinic.